Nothing beats a glass of Pimms on a summers day. The British beverage is almost as much a tradition as the cup of tea and the British down the gin-based drink by the gallon during the summer months. 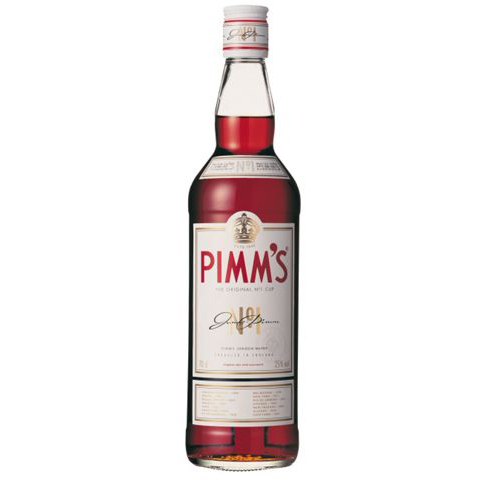 History of Pimms Rewind back to a London oyster bar in the 1840s where owner James Pimm invented the thirst-quencher. Using gin quinine and a secret mixture of herbs good old Pimm served up the brew as an aid to digestion dishing it out in a small tankard and the No. 1 Cup moniker was born. After the Second World War Pimms extended their range using a number of other spirits as bases for new cups. Scotch lent its name to No. 2 cup while No. 3 used brandy No. 4 rum No. 5 rye and No. 6 vodka. Of these sequels the vodka cup and brandy (now called Winter)are the only ones in production while original No. 1 cup still reigns supreme in popularity.